Reefer Trucking Trends | Keeping Your Cool! Home » Driver Type » Reefer Trucking Trends | Keeping Your Cool! With all of the specialized trucking jobs out there it’s sometimes difficult to keep up with the changing industry. Everything from the price of fuel to consumer habits affects the way truckers haul their loads. 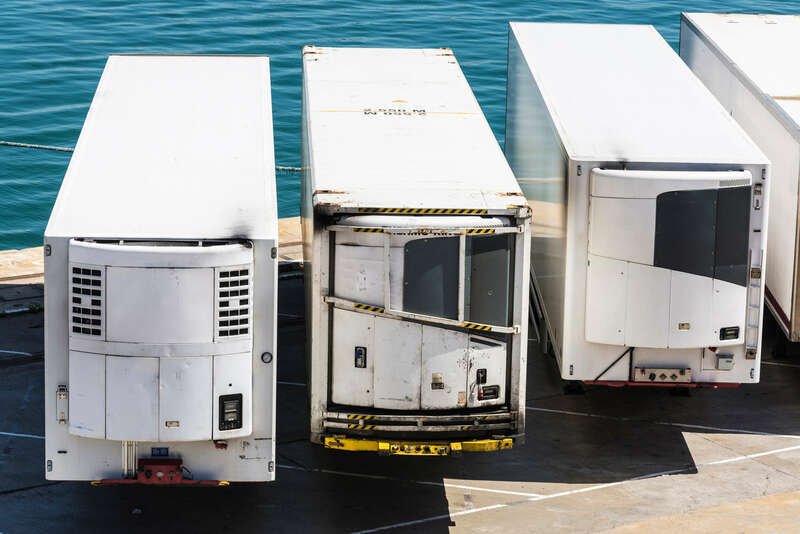 When it comes to reefer trucking, there are several trends making an impact on the industry that you’ll probably want to be aware of. Reading up on the latest reefer trucking trends will help you keep your cool and make an impact! 3 Reefer Trucking Trends | Keeping Your Cool! According to recent reports from Statistica, annual online grocery sales in the U.S. cashed in at $14.2 billion in 2017. From now until 2021, experts predict these numbers rising to nearly $30 billion or higher. When it comes to hauling perishable items to retailers, reefer truck drivers are the ones to call. Still, according to Paul Jarossy, director of marketing and new business development for Morgan Corp., most retailers are searching for lower-weight delivery vehicles — often those that don’t require a CDL. Now, even major grocery store retailers are considering the usage of smaller last-mile vehicles to make a bulk of their deliveries. Nonetheless, reefer trucks are still integral to delivering large quantities of perishables to depots where they will be transported by smaller vans or trucks. In terms of reefer trucking trends, this is something to consider as your company considers a shift toward smaller vehicles. Of course, when it comes to reefer trucking trends, efficiency is on the top of the list. In addition to efficient gas usage, making sure a refrigeration unit is capable of meeting demands is also critically important. Companies like Carrier Transicold say their latest X4 units use 5 to 22 percent less fuel than previous models. The latest units from Vector also claim to use up to 26 percent less fuel than the models they succeeded. Other advances in electric standby technology allow reefer units to maintain their temperatures without running the diesel engine while parked. If you’re an owner-operator, you’re constantly thinking about what was you can save costs and make your rigs more efficient. When we’re talking about reefer trucking trends, solar power is another way refrigerated trucking is staying ahead of the game. Third-party vendors like ThermoKing offer add-on solar panels that can really help lower fuel consumption and reduce emissions, all while extending battery life. These panels can be rather expensive, but hopefully, the cost savings can translate into better pay and driver benefits if you or your company adopt them. One of the most major things to hit the trucking industry in a while is the supreme court’s mandate requiring ELDs. Most of the time, reefer trucking jobs entail getting the product from one point to the next as quickly as possible. With ELDs monitoring every move, the need to get the trailer load and unloaded quickly has never been so pressing. At the same time, many fleets and companies are moving toward shorter hauls in order to get drivers home more often. These reefer trucking trends also hold true in the rest of the industry. What reefer trucking trends have you noticed working in the industry? Let us know in the comments below!